Pete is a criminologist specializing in a number of areas including surveillance and society, terrorism and counter-terrorism, critical studies of resilience, major-event security, organized crime and urban sociology. He has published extensively in these areas, was recently elected a director of the Surveillance Studies Network and, during 2015, was part of a small team of co-investigators awarded an ESRC Large Grant on Human Rights and Information Technology in the Era of Big Data. He has also recently concluded working on two large-scale ESRC and EPSRC funded research projects analysing counter-terrorism in the UK’s crowded spaces and, separately, future urbanism and resilience towards 2050. 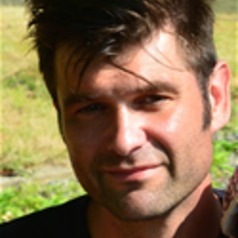 His other work focuses on organised crime in the EU with particular reference to human trafficking for criminal exploitation (monograph due to be published by Routledge in 2015). Recent books include Securing and Sustaining the Olympic City (Ashgate) and Terrorism and the Olympics (Routledge). In other work, he has also co-authored one of the UK's best selling criminology textbooks (Criminology: A Sociological Introduction) with a team of colleagues from the Department of Sociology at the University of Essex. Security and major sporting events: ongoing work yielding an edited collection (‘Terrorism and the Olympics’) and joint monograph (‘Securing and Sustaining the Olympic City’) (see below). This analyses the form and impact of Olympic (and other mega-event) security operations with particular reference to London 2012. Resilient Futures: part of £1.7m ESRC & EPSRC research project (see below). The future resilience and UK energy and transport infrastructures and the social impacts of infrastructure failure and climate change. Terrorism and public spaces: part of £1.2m EPSRC research project (see below). This research stream covers a number of areas ranging from the commission of terrorist acts to the form and impact of counter-terrorism measures. Crossing Borders: Migration, the informal and organised criminal economies in East London. Over the last 2 years he has been conducting qualitative research investigating how migrants from East Europe and the Former Soviet Union operate within the second economy and criminal networks in East London. He is also developing a related project researching the dynamics of, and responses to, child trafficking into London.